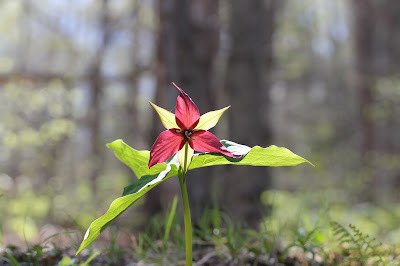 If you had to guess what state park campground in Vermont has the highest elevation, most would probably nominate Smugglers’ Notch, located on a steep, narrow road near Mt. Mansfield, the tallest mountain in Vermont. But, this is not accurate. 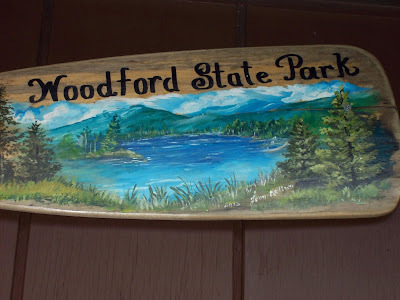 The park with the highest elevation is an unassuming spot called Woodford, located in extreme southern part of the state only a few miles from the Massachusetts border. The elevation (2,400 ft) is due to its’ location on a plateau in the southern Green Mountains, not far from the Appalachian Trail/ Long Trail. Spruce/ fir forest is more common here, again more reminiscent of the northern forest of the Northeast Kingdom than the hardwoods usually seen in southern Vermont. 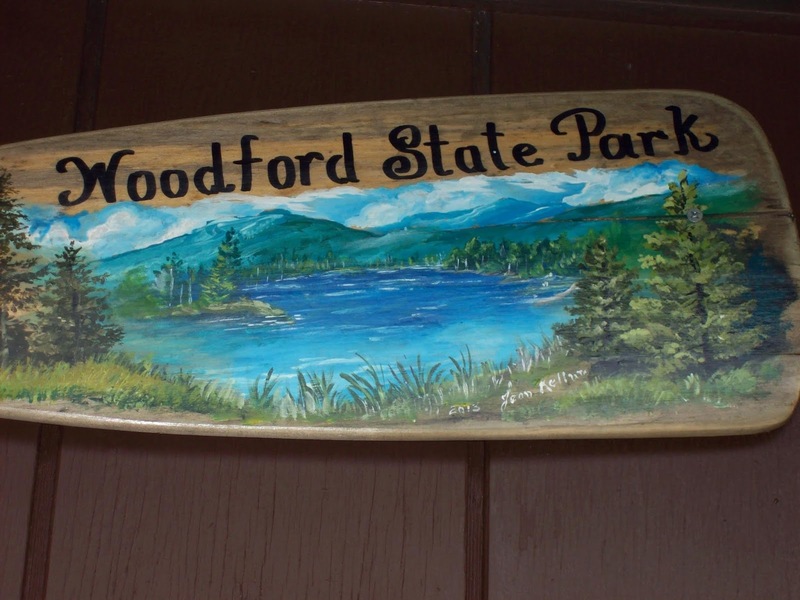 In addition to hiking, Woodford is also popular with boaters who want to explore the waters and wetlands of the Adams Reservoir. Here is a sample itinerary to help plan your trip. 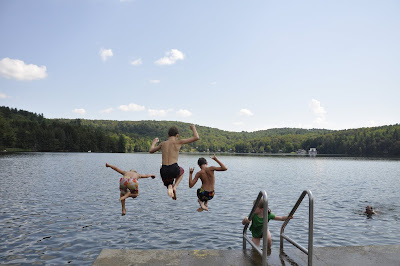 Saturday morning: Kayak or fish on the Adams reservoir, go for a swim at the campers’ beach. Boats can be rented at the park office. Saturday afternoon: Attend a nature program, then hike the trail around the reservoir. This is a 2.7 mile easy loop, good for people of all ages. 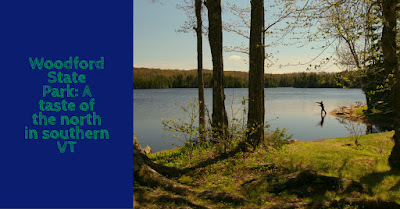 Look and listen for thrushes and warblers, otters, beavers and white-tailed deer. Saturday evening: relax by the fire, dinner & s’mores. Sunday morning: pack up camp & prepare lunches for the road. Check out of the park. For a day trip, the historic village of Bennington is less than a half an hour away. Walk around downtown, get ice cream, look for Robert Frost's gravestone and check out the Bennington Battle Monument, the tallest structure in Vermont. 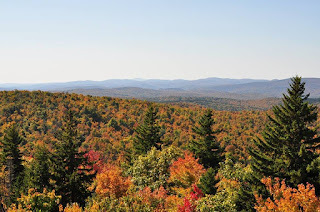 Ride an elevator to the top, get 360 views of the surrounding area, and the mountains of Vermont, New York, and Massachusetts. Battleboro, VT, North Adams, MA and Albany, NY are all within about an hour's drive of Woodford.